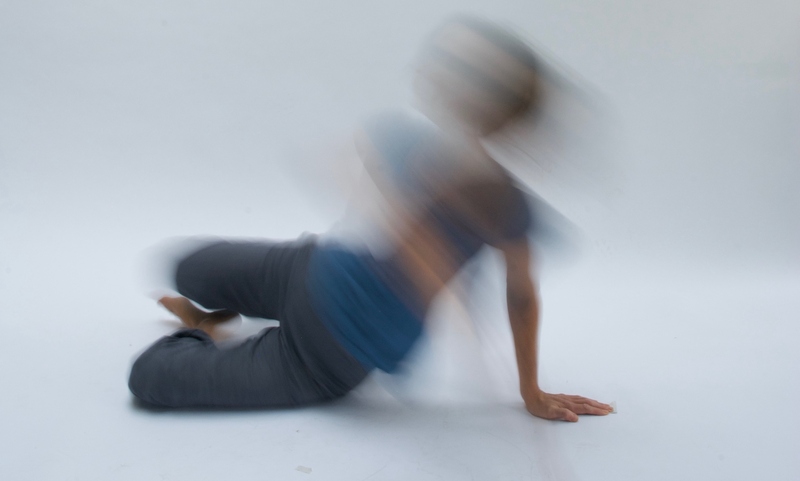 Movement 4 Performance: What’s Feldenkrais? An older version of this article was originally written for the newsletter of a Health Centre in North London which aimed to introduce different approaches to anxiety and chronic stress. While we think of anxiety and stress as mental or emotional states it is important to remember that they are part of a very complex story that encompasses a cascade of physiological events throughout our whole selves. This story involves a delicate flux and balance held in the (autonomic) nervous system between arousal and relaxation, triggering changes throughout our systems (vascular, pulmonary, muscular, digestive, immune) that ideally enable us to meet periods of challenge effectively and, just as importantly, come back to a quieter, easier place when circumstances allow. The arousal aspect at the peak of this axis also evolved to enable us to cope with more immediate threat to life and limb by preparing us for action, for example the well-known ‘fight or flight’ response. However one difficulty can be that in our modern life, fighting or fleeing is usually inappropriate (its best not to punch the landlord or run away from an exam or meeting) or not possible (you can’t hit the bank or run away from unemployment effectively). This means there can be difficulty in then discharging arousal and returning to a more neutral state. A reasonable level of day-to-day stress is not necessarily a problem – indeed it is unavoidable and can be a positive factor in maintaining health in fact – but trouble rears its head when those experiences become more than we can deal with and return to base easily: when, through repeated, irresolvable situations, the balance tips into a more chronic state of fight/flight arousal with all the physiological impact that has: suppressed immune system, problems with digestion, breathing or blood flow, muscular imbalances, issues with backgrounding or prioritizing sound, restricted vision or being able to adapt our responses appropriately to a person or situation to name a few possibilities. Of course some may indeed have experienced an actual immediate threat to their own or another’s life which may have involved a third defense mechanism – the ‘freeze’ response: a deep shutting-down of the nervous system which can also have a similar array of lasting physiological effects. It is beyond the scope of this short article to fully describe or examine these processes (please see the list of further reading at the end for more detailed study) but I hope this brief summary serves to point out that there are many physiological systems involved in stress and anxiety, and so there may be many different ways of intervening. By addressing one or more different aspects of the syndrome one can begin to impact on the whole pattern. My intention here is to say something about how the Feldenkrais Method can contribute. The Feldenkrais Method is a practical way of enabling us to explore our habits and patterns of behaving, thinking and doing through movement and to learn new possibilities or re-discover old ones we have lost. Movement is essential to life. There is no breathing, eating, drinking, excreting, reproducing, locomoting or self-care that can happen without it – which makes it a powerful entry route for enabling change. But interestingly, a significant amount of human movement (especially skeletal) has to be learnt and that is crucial. Unlike most other animals, our nervous systems are not predominantly ‘wired up’ at birth. Think of a herd animal like a deer that must get up and run shortly after its birth or it will be someone else’s lunch – and then think of the random movements our babies make and the time it takes to learn to roll, crawl, sit, stand, walk, and one day run. It is that learning process that actually ‘wires us up’ creating highly complex web-like patterns of connections in our nervous systems that enable us to do all the things we need or want to do. Of course the fact we are human and our own individual genetic and structural make-up has something to do with the unfolding of the process, but the patterns of connections made in our nervous systems are also the result of our individual processes of learning in different environments, through different life experiences and life choices, making each of us unique. On a simple level Moshe Feldenkrais used the example of a dog that will bark the same and be understood the same by other dogs whether it is born in Italy, Japan, England or Russia –as opposed to a human who will not. You could also imagine seeing a friend at the top of the road: you may not be able to recognise them from their face, hair or clothes at that distance, but you will know them from a gesture, from the way they hold themselves, the way they walk. This ability to learn, develop and adapt is the thing that makes us so different from each other. It is also partly why we are such a successful species – and why we can find ourselves in such trouble too. Because the ability to learn includes the possibility of error. It is through making mistakes that we explore what works and what doesn’t and gradually find out what to eliminate and how to do something better or differently. But of course while we learn as best we can given all the circumstances, we may not learn perfectly. At some point we may find that while it was the best we could manage – and may have served us very well at the time even – some of it is not so appropriate or helpful now. Maybe the result of years of learning eventually involves back pain, knee pain, breathing trouble, difficulty with balance or limitations that get in the way of improving a skill – and maybe it involves a pattern of chronic anxiety and stress. For in amongst those patterns we have developed are the ways we have learnt to protect ourselves in times of difficulty. We have learnt through trial and error and through experience what feels safe and unsafe, and how to cope with times that are hard or threatening. We may have done so with successful outcomes or not such successful outcomes depending on our skills, belief in our capabilities or what was actually possible at all in that situation at that time. And so somewhere along the line, our life experiences may have repeatedly disallowed the discharge of arousal or taught us that we need to stay vigilant. Our system (probably not the conscious part) may have decided that we are not safe even in many ordinary day-to-day situations, and that will show up in how we are able to sense ourselves, hold ourselves, breathe and move. Some muscles may have tightened to shut out feelings or sensations or set into some aspect of the reflexive curling pattern of the torso for self-protection. Some muscles may have correspondingly habitually lengthened and lost power. We may have ‘shut down’ or ‘collapsed’, we may be busy ‘pulling ourselves together’ and ‘getting on with it’; we may simply be ‘holding ourselves up’, or ‘holding our breath’. We may have lost the sense of the ground and our skeleton as supportive, of ourselves as an integrated whole. Of course this is all part of – and will show up in – our movement tendencies. But that means we can approach them through movement too. We can stretch or massage individual muscles to loosen them when they are tight; we can exercise individual muscles or muscles groups that have lost their tonus to strengthen them again; we can manipulate the skeleton to put it back into alignment and of course these things can and do help. But working in this way can also be a hit and miss affair as far as learning movement is concerned. The nervous system works in relation to what you want or need to do in the world. Any intentional action involves changes throughout the whole system not just in one muscle or group of muscles. So unless the new muscular tonus or skeletal alignment is recognised deep down as something that can be functionally integrated within the neuromuscular system as a whole and used, it is very possible that an individual muscle (or group) mechanically loosened/strengthened or a skeleton mechanically ‘corrected’ may not have enough of a context to facilitate a different movement choice. It is very possible that the useful change produced in that way will disappear when the person sets off to walk, run or reach for the tin of beans. Indeed those activities have been wired into very complex patterns (or tendencies) that have been learnt over many years. That means that your system will operate in accordance with levels of work/release throughout the whole muscular system that it feels, recognises and adjusts to (including patterns of breathing, adaptation to gravity for balance and support and so on), so it is likely to simply adjust and revert back to those old familiar functional settings despite any temporary mechanically-produced change however good. However, if you have learnt some new possibility of moving (for example, through a Feldenkrais lesson), that learning process will have involved feeling the difference between moving one way and another, trying out and comparing different possibilities (sometimes in very fine and nuanced ways), clarifying what one possibility feels like as opposed to another, so that any new possibility that emerges is more likely to be integrated enough to become what your system is looking for and adjusting to when you take that step, run or reach for the tin of beans. It may take you a while to address enough aspects of your most familiar and deeply wired patterns in this way. It may take many repetitions and variations in the learning for these new possibilities to feel reliable and adaptable enough to be adopted – but it can also happen very quickly on occasions. After all, following from Darwin’s theory of evolution, we have a tendency to adopt the most successful option available to us at the time to improve our chances of survival. It is most likely to happen – as most learning does – gradually, bit by bit, two steps forward, one step back, a leap here, a plateau there, over a period of time. This kind of learning lies at the heart of The Feldenkrais Method. With chronic stress, anxiety and trauma, the system can have a reduced range of response to situations, even if the habitual response is often no longer appropriate. Significantly, the ability to recognise the difference between safe or unsafe and to adapt may be constrained. Moshe Feldenkrais often said that he enabled people to learn to do the thing they already knew, but in another way. In many Feldenkrais lessons you start with an invitation to try out a movement and to observe the way you do it. Often the action is simple or something day-to-day: reaching, turning, sitting, rolling, pushing, walking. A lesson may start with an aspect of that activity, allow you to discover how you do it, gradually introduce variations and clarify those different versions. Slowly more aspects of the movement become included in this way until you are able to feel how all of you can be involved. Something new may emerge by the end that goes together more easily, enables your structure to feel better supported, feels less effort and allows you to breathe more comfortably which can bring with it a greater feeling of calm, vitality and well-being. However, once you can feel and play with difference you are also no longer stuck in one response. Variety and adaptability become possible. And that means you may discover you no longer have to fall into the pattern that involves anxiety and stress because it is no longer the only choice you have got. As greater clarity of awareness and new and varied ways of moving and being develop, the patterns of chronic anxiety or stress may begin to lose their compulsive grip. Sometimes they simply unravel gently as newer more supportive patterns become available and take over without any great emotional upheaval: just the gradual sensation of being able to cope better and enjoy life more. Sometimes there is a process of recovering memories or feelings that have been blocked to protect you from being overwhelmed at the time, or the emergence of experiences that need to be completed in some way. It may be that your Feldenkrais Practitioner also has the skills to see you safely and constructively through this period or it may be that you need a counselor or psychotherapist to work with as well. Or you might use Feldenkrais simply to augment, integrate, deepen or open up the work you are already doing with a therapist and improve awareness and basic self-supporting skills. Indeed this work can work very well alongside many other kinds of processes or therapies that are working with different aspects of this very multi-faceted syndrome.